This 2 Stroke, 46cc chainsaw with 410mm cutting length is ready to take on all the cutting needs around your garden. 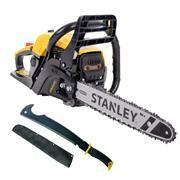 Featuring a powerful 1800w motor with max 4300rpm operating speed, 46cc displacement & 40-to-1 Fuel/Oil ratio. 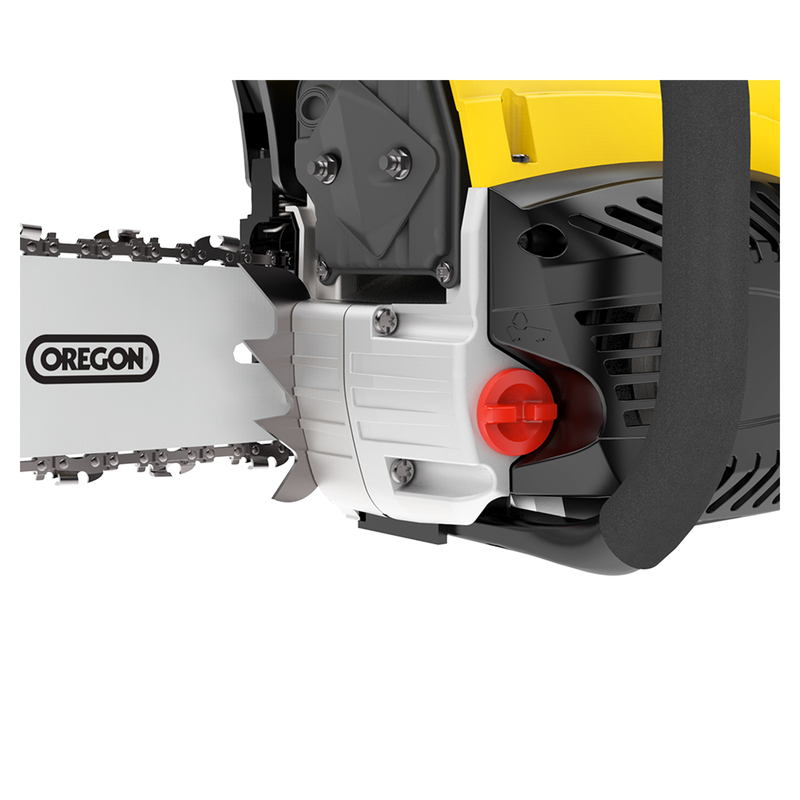 Trim branches, drop trees, even cut fire wood for the open fire, there are no limits with the high quality Oregon chain and bar. 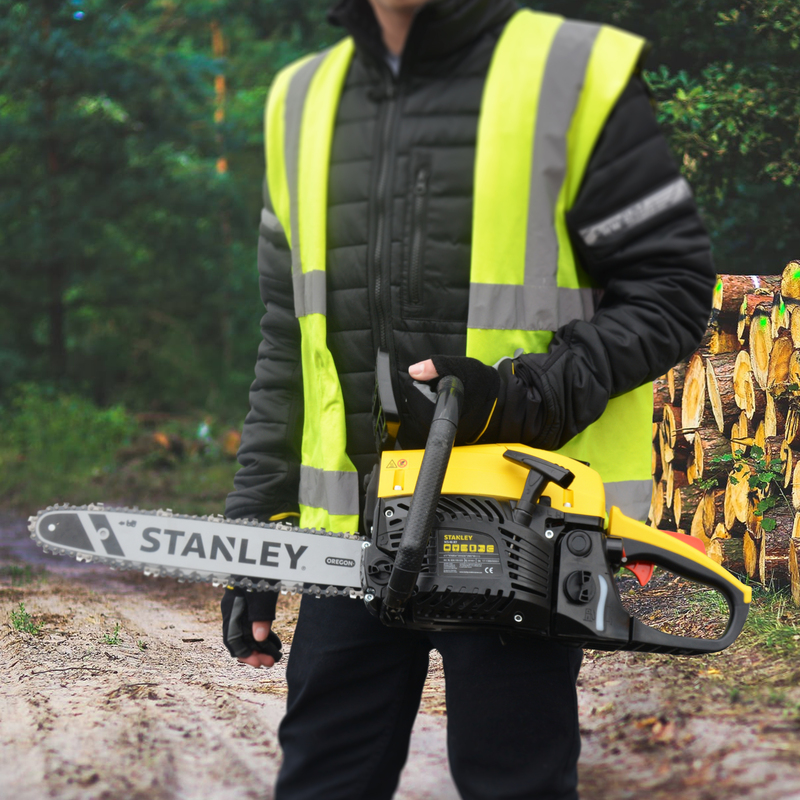 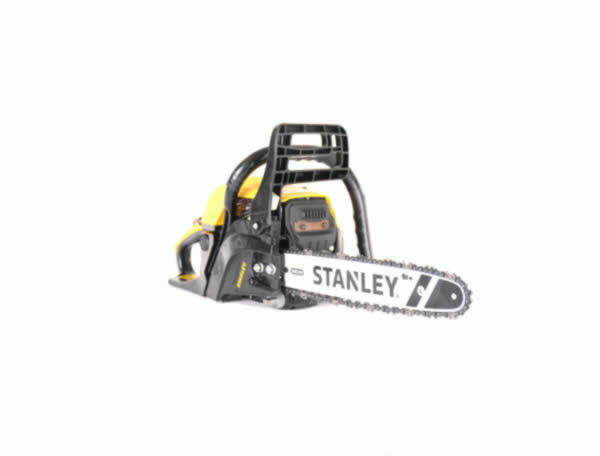 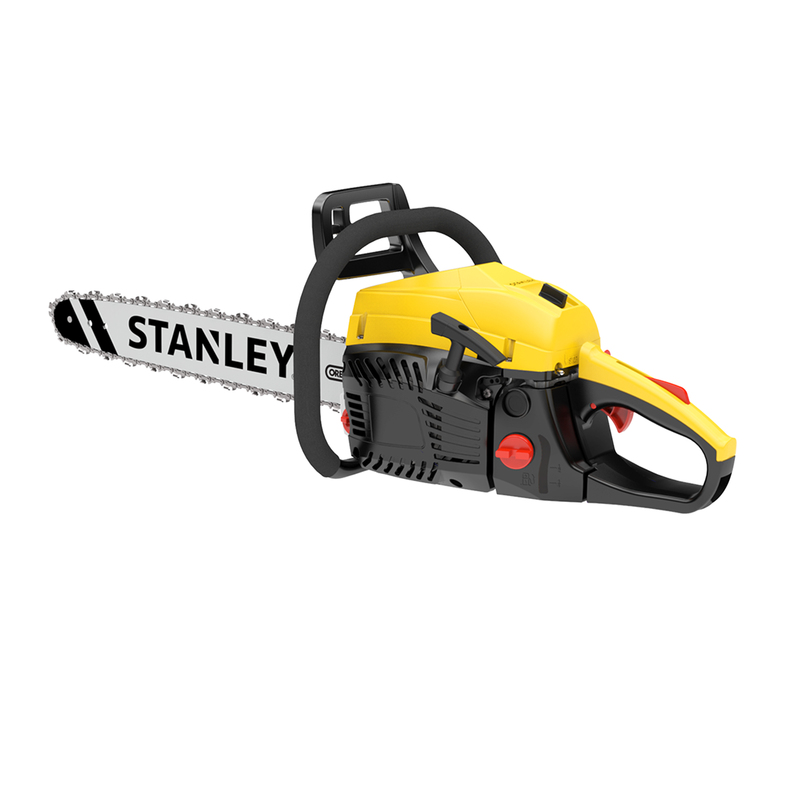 Digital ignition technology delivering reliable start and smooth engine operation, patented Airflow3 cooling system to the engine block to reduce wear and tear, and maximum protection with Safe Brake MX2, you can’t surpass the Stanley 46cc Chainsaw.